A Missouri State Highway Patrol trooper was charged Friday with involuntary manslaughter in the drowning death of an Iowa man who fell from a patrol boat while he was handcuffed at the Lake of the Ozarks. Trooper Anthony Piercy arrested year old Brandon Ellingson, of suburban Des Moines for boating while intoxicated and was taking him to a patrol zone office. "Witnesses have said Piercy placed an already buckled life vest over Ellingson's head and didn't property secure it. Ellingson's life vest came off shortly after he went into the water, and Piercy eventually jumped into the water but was unable to save Ellingson. His body was recovered the next day from the lake bottom." So... a 20 year old - just months from being able to drink 'legally' anyway and was not driving on the roads, but was enjoying a summer day with friends boating on the lake... arrested, a poorly trained trooper takes off in his boat, Brandon falls and the news says Piercy "eventually" jumped in the water... eventually? My condolences to this family. Wasting time waiting on a call from the mechanic. Coffee in hand. Music Meme Time. Random questions! Here is something I don't think I've done on Coffee Talking in about 7 or 8 years. Since it used to be a "Mom Blog" (although honestly I had a 50-50 readership with just as many guys reading as women and some didn't have any kids at all). Because I didn't really just talk about my kids. 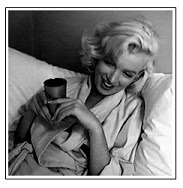 It was friends chatting over morning coffee on my blog every morning - anything goes. But anyway! Time for a random meme because I'm sitting here babysitting my phone very closely so I don't miss the phone call from my mechanics - who should have called me yesterday - and still haven't called today. It's 5:pm on Friday evening - they close at 6:pm. If they don't get done with my truck and call me SOON then my truck is going to be held hostage by them all weekend as they are closed Saturday and Sundays. I've got a cup of coffee in hand. No dinner has to be made for another hour. Everyone gone for now but me. BORED and waiting on the mechanics. So, I typed the words 20 question meme into Google to see what would pop up. Apparently there are sites that discuss and list nothing but meme ideas. Who knew? Apparent meme's are aimed towards 13 year olds as almost ALL of them had something to do with school, classes, teachers and such. I'm sure there are 'adult' memes out there too if I looked. But... maybe we just don't need to 'go there' on this blog right now anyway. Ha. I don't know you that well. Since I like music, and this was one of the first ones I saw - I decided this would be the one. Hmm. Not sure but I think the Beatles have a couple of them. Eh. Not much for crowds and I'm good with Youtube. Seriously? Did a 12 year old from Los Angeles write this question? I may find someone from my state but tiny little towns in the heartland aren't known for pumping out big name celebrities. Hmm. Belting shamelessly and diva hands are completely different things. I don't think I do diva hands. Ever. (another question by a 12 year old) - Eh. Too old for this one. Huh. Not sure about this one. Oh crap. I stopped watching tv in 1998 or 1999 so... don't remember. Well, I'm not sure why I've never deleted "I'm My Own Grandpa" just never got around to it I guess but I hate it and cringe when I hear it. My tastes in music is so eclectic that I'm past caring. EVERYONE knows they could get ANYTHING when they hit 'random play' on my computer. From folk tunes, to 1930's to heavy metal, christian, country, show tunes, disney, anything goes. Currently? "I'm Not Pageant Material"
This morning's post is coming from Fox News and my 2nd strong, hot, black cup of coffee. Headlines link to the source stories. "...Santa Claus is banned. The Pledge of Allegiance is no longer recited. “Harvest festival” has replaced Thanksgiving, and “winter celebrations” substitute for Christmas parties." 48 propane canisters in the state during the same time frame." Terrorists have long used mobile phones to set off explosive ordinances, and propane tanks have been used in improvised bombs. For example, the thwarted car bomb attack in Times Square in 2010 was set to use four propane tanks as part of the explosive device. "Without anyone saying anything, he handed me the frame and I placed it on my knee. In the photo, I could see on the little boy's armband that his first name was Hayden. I didn't ask any questions, but I am guessing that this is his first photo with Santa. The camera snap was the only sound I could hear through the entire mall. Normally, I hear all kinds of music and sounds, but it was absolutely silent." "My son passed away, last year." He choked up and couldn't finish his sentence. Kyle's son Hayden died in his arms after a long fight with his congenital heart defect. 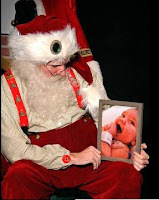 Kyle wanted Hayden to still have his photo with Santa, and to give the photo to his wife, Sasha, as a present. This morning I was going over my son's Christmas 'idea' list and in my search for various Marvel Comics coasters and koozies, ended up stumbling upon marvel comic COFFEE in k-cups! This was over on the Walmart site and other than Walmart and one other site, I can't seem to find them on Amazon or anywhere else... but it did lead to this mornings Coffee Talking post. When my son was 3 years old, he loved anything that had to do with Spiderman. From the figures to foot tall toys, pajamas, slippers, web slinging silly string, Halloween costumes, t-shirts... His 4th birthday party was a Spiderman themed fest... and so was his 10th. You would think he would have grown out of it but you would be wrong. That little boy is now a young man set up in his own apartment and his 2nd bedroom is......? A Marvel comic themed office complete with 3D Marvel Comic light fixtures coming out of the wall (like these; Marvel Ultimate Spiderman Spidey Hand 3d Deco Light. He has the Hulk, Spiderman's head and hand, Captain America and Thor's hammer). As I research Spiderman and other superhero items for his Christmas gifts, I thought it would make a great post on Coffee Talk in case anyone popping in wanted to check out some superhero coffee mugs! Custom printed 15 oz ceramic novelty coffee mug for your coffee, tea, or drink of choice. Drink in style - coolest superhero print. Makes a great gift for your superhero friends. Trader Joe's Chocolate Marbles are Just So Pretty! Too pretty to eat? I don't normally shop Trader Joe's and don't particularly like chocolate but even so, they caught my eye because they are just so pretty! I have a family full of chocolate lovers that would love to see these under the tree as a gift for Christmas. Two half rounds of chocolate are filled with a filling of various flavors, then the two halves are molded back together to form the sphere. The balls are coated with a layer of chocolate to smooth them out and then very thin layers of sugar coat are added and finally, a fine layer of color. Made to deliberately look like marbles, Trader Joe's newsletter says they are selling them for $4.99 while they can keep them in stock. I don't currently live anywhere near a Trader Joe's but of course I looked on Amazon to see if they were available and as of tonight they have 3 in stock yet... but expect to pay dearly for them. They are listed for $14.99 right now (of course Amazon prices fluctuate though). I posted about my new machete's I bought to tackle the briars and overgrowth in our woods and by the creek where our wild berry bushes grow (see post here if you missed it below). I also have researched far too many forums, blogs and message boards in order to learn correct ways to sharpen them, and watched a kazillion videos. Then I tried a couple of them. I think if I had a belt sander, I could get the job done well, but I don't. And my attempts with a metal file and sandpaper and diamond sandpaper block aren't giving me the sharp blade I want. I will also admit that my first attempts actually dulled it and made it worse and I had to stop and start over! I readily admit I'm useless with metal files and Puck Sharpeners . So I have started to think about getting a 'sharpener for dummies' - at least that is what I call it in my head as I admit that using metal files and such is just beyond my skills at this time. Smith's Axe and Machete Sharpener - But here is what is frustrating. Some of the reviews (on various sites) rave about how great this is and how easy it is to get a good blade with it (especially for dummies like me that seem to be screwing it up with files and blocks, Ha ha). This looks easier for me to use, to get the right degree down and to sharpen and not dull it. But then there are other reviews (yelling) to people; do not buy this! That it not only doesn't work, but dulls your blade or in some cases, notches it! 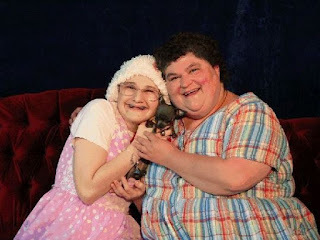 Read the latest update source story for this opinion chit-chat post here if you don't know who Dee Dee or Gypsy Blanchard is. I'm going to say right off... my heart aches for this girl. Her mother screwed her up so badly. To listen to her speak in old interviews and more current, it's so obvious her little squeaky voice is that of a much more immature person that whatever age she was at the time. She was also plainly 'coached' for responses as she used sentences and phrases that sounded so clearly rehearsed and things her adult mother would say - but not an 'average' 'typical' eight year old child. Then again... Gypsy was never, ever allowed to be a normal, typical child. 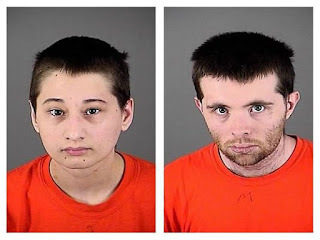 "....Relatives have said Dee Dee Blanchard imprisoned Gypsy Blanchard and forced her to pretend that she was disabled — shaving her head and making her use a wheelchair and take seizure medication that caused her teeth to fall out." This poor girl, from birth, was made to believe she had spina bifida, muscular dystrophy and leukemia... among who knews what else? The public was duped by this woman since her daughter was born to believe she had these and all kinds of various medical issues. Reporters, Habitat for Humany, Make a Wish Foundation... all duped by this mother at the expense of her daughter ever having a normal childhood. Seeing her now, as an adult you can tell she doesn't even know how to hold herself, or act 'normal' and she speaks as if she is still a 7 year old child. Her voice, her personality... being held in a medical bubble all her life, she doesn't even know what reality for most young women her age is. And this mother is still wielding her power from the grave... Gyspy can't even legally talk to her OWN DOCTORS without the Mother present. So getting medical records has proven difficult because somehow, the mother got power of attorney over her daughter - even though legally this is not allowed unless they are shown to be incompetent. ".....Stanfield said at a previous court appearance that Dee Dee Blanchard had set up some blocks that prevented her daughter from viewing her own medical records. Stanfield said Monday he has still not obtained those records. "We're still attempting to obtain all of the medical records," Stanfield said. "The durable powers of attorney that her mother had executed prevented Gypsy from even requesting her own medical records. They prevented her from speaking with the doctors on her own. They required her mother to basically do everything as far as her medical care." This source story was interesting to me because it shows Dee Dee was claiming 'health issues' all the way back to Gypsy's birth. "... I was told at that time that her health issues, which began at birth, included vision and hearing problems. She could only be fed through a feeding tube, Dee Dee Blanchard said." "I have been very lucky," Blanchard told me. "She is such a good child. She has never once complained." She and her mother lived in a Habitat for Humanity home in Springfield. They told officials there that they were survivors of Hurricane Katrina. The News-Leader, in researching Gypsy's past, found details of gifts from the Children's Wish Endowment, located in Slidell, La. At the age of 11, Gypsy told a Times-Picayune reporter that the organization had granted several wishes of hers, including a trip to Walt Disney World. The Habitat house they lived in was specifically outfitted for Gypsy's wheelchair and her other healthcare needs. The needs which she may have never had. After the mother (Dee Dee) was killed, Gypsy no longer had the chains of her binding her - physically, mentally or emotionally. For the first time in her life she was without a domineering maternal presence in her life. Some people are claiming Gypsy must have been 'in' on the ruse after she was old enough because she didn't go against her mother's claims in the past couple years. Having spent 20 years - from the day you were born - being given medications to make your teeth fall out, being told you have cancer, having a woman psychologically mess with your head your entire life... This little girl did not have any 'normal' life experience to base her decisions or knowledge on. If she was 'in' on the ruse and intelligent enough to think that deeply and make decisions that complex (for her) then she would have been better off to continue the ruse of sickness in her own defense. But she didn't. As a matter of fact, as soon as her mother was out of the picture she was able to be "normal" and "healthy" for literally the FIRST TIME IN HER LIFE. I personally find it most likely she fully believed she was sick until just recently when she was able to befriend the man who ultimately became her 'boyfriend' and with a mental capacity seemingly stuck around 8 years old, I'm sure it's like a 2nd grader discovering things like friends, boyfriends and the ability to believe things other than what your parents have told you (discovering there is no Santa Claus!). As she discovered more things and became stronger in her own feelings and choices - I can imagine realizing small things like "What is Mom talking about? I can walk without my wheelchair." "What would happen if I stop taking the medicine she says I need?" "My hair is growing!?" "I don't feel sick today..." and more and more the realization that this woman who you believed loved you and cared for you in sickness all your life, was in fact MAKING you sick in order to thrive on the attention, the interviews, the free housing, Disney trips and many gifts and money they received. Like a sickness herself, the need for that attention by a mother forced her child into a life of faux sickness - from simple "hearing" issues as a newborn to making her baby have a feeding tube... and then when the need for more attention grew stronger, portraying her daughter as having spina bifida and later muscular dystrophy and finally, leukemia. This seems like a strong case of Munchausen's by Proxy to me... and a very messed up little girl that was suddenly in an adults body and as an adult, starting to realize her mother may have been causing her 'sickness' her whole life. But then again, I've had 5 cups of very strong, hot, black coffee this morning already so.... maybe it's just the coffee talking.